Home to 20 per cent of the world's adolescent population, India has one of the worst track records in their health and education parameters, according to a new report by the United Nations Children's Fund. Nearly 47 per cent of girls in the age group between 11 and 19 years are underweight in India, which is the highest in the world, a UNICEF report on the 'State of the World's Children' has said. A total of 56 per cent of girls and 30 per cent of boys in the age group are anaemic, which places the country in the same bracket as least developed African nations. 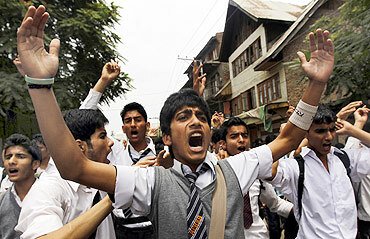 The report says that nearly 25 per cent (243 million) of Indians belong to the age-group between 11 and 19 years. Almost 40 per cent of them don't go to school and 43 per cent get married before the age of 18. Of those who get married, 13 per cent become teenage mothers. School attendance in the 11-13 years age group is 86 per cent and 14-17 years is 64 per cent. On the positive front, the report shows that the number of girls who got married before the age of 18 years has decreased from 54 per cent in 1992-93 to 43 per cent in 2007-08. But the figure is the eighth highest in the world. 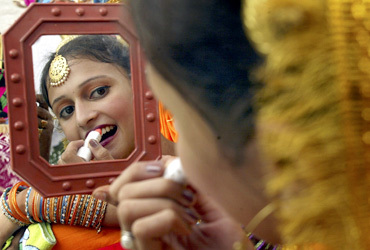 Pakistan fares much better with just 25 per cent of girls getting married before the age of 18. Nearly 6,000 adolescent mothers die every year and there is a 50 per cent higher risk of infant deaths among mothers who are aged below 20 years. 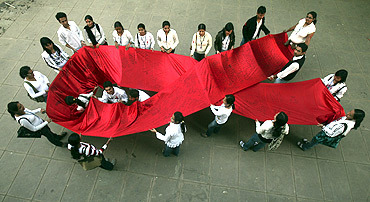 Percentage of adolescents with correct knowledge of HIV/AIDS is only 35 in boys and 28 in girls. The report further said that nearly one-third of adolescents report physical abuse and about one-third of adolescents report sexual abuse. "Certainly, now 74 per cent of adolescents are in school. Most of them are getting primary education. But there is a high-drop out rate afterwards, both in male and females. 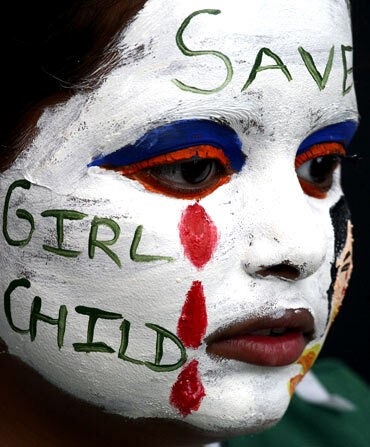 It is still an area of concern," said Karin Hulshof, country representative for UNICEF. On child marriage, there is a gradual decline in cases of marriage before 18 years but the ratio is still "far from satisfactory," she said. The lack of knowledge regarding HIV/AIDS, health, abuse and unemployment are other areas where a lot of work needs to be done, Hulshof said. Hulshof said "health and reproductive services and knowledge" must be provided to every person in the age group.